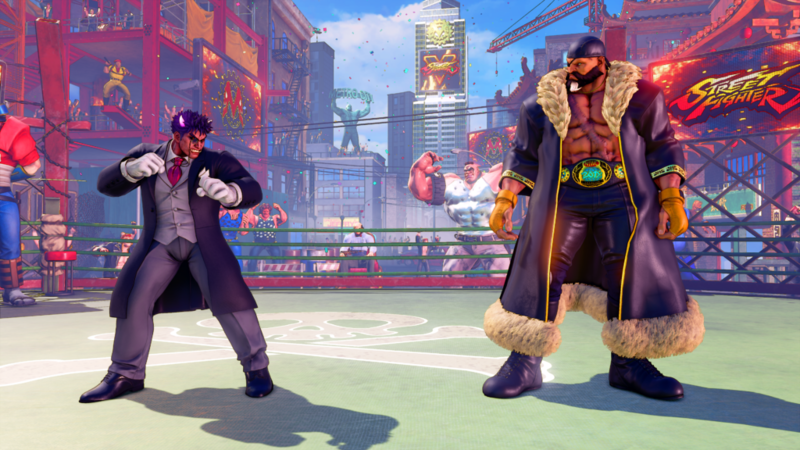 The Capcom Pro Tour 2019 is about to begin and, to celebrate, Capcom is releasing plenty of new DLC for Street Fighter V: Arcade Edition. The CPT-themed DLC, which will be released on February 26, 2019, includes some new costumes and a brand new stage! The new stage, “Ring of Justice,” is similar to the stages released for previous years’ tournaments. Capcom says players should be on the lookout for “familiar faces in the background” of this new stage, so there should be plenty for to dig through. In addition, three new costumes will be released as well. Both Kage and Sagat will be getting new digs, as well as a currently-unannounced third character. That costume will be the Champion’s Choice, just like previous years. This year’s outfit will be designed by 2018 champion Gachikun, who also gets to pick which character rocks the look. It will be revealed and released at a later date. As in previous years, a portion of the sales on this DLC will go towards the prize pool for the Capcom Cup, the last event in the World Tour. All four items can be purchased either separately, or as a bundle. The costumes all go for $5.99 USD, while the stage is $9.99 USD. Buying all of the items together nabs you the “CPT 2019 Premier Pass” that is chock-full of other loot. The bundle will give you new color options for all of the CPT seasons, new titles and profile themes, and 10,000 Fight Money! The Capcom Pro Tour is only one of the competitive events Capcom has planned for 2019. Will you be picking any of this DLC up? Let us know!